Pregnant women are unable to easily access medicines and nutritional supplements which are due to them under various government schemes. 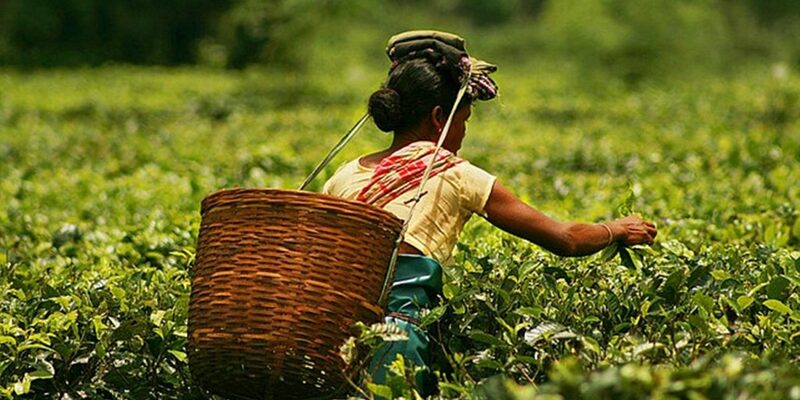 New Delhi: Government efforts to stem anaemia and maternal mortality for Adivasi women working on tea plantations in Assam have not worked efficiently, says a new report released today by Nazdeek, a legal empowerment organisation working on rights issues for marginalised communities. Assam has the highest maternal mortality rate in India, with 363 maternal deaths per 100,000 live births. About 50% of pregnant women aged between 15 and 49 are also anaemic in India, making anaemia a leading contributor to maternal mortality as well. “Major gaps exist in securing ambulances for women during pregnancy. In some cases, the ambulance takes so long to reach a woman’s home, that she delivers the baby while she’s waiting,” says Mary Surin Tete, a member of the central body of the All Adivasi Women’s Association of Assam. For the report, 28 Adivasi women who were either currently pregnant, or had been pregnant in the last three years were interviewed. There were also 63 women interviewed in focus groups. Including other government officials and workers, the study interviewed a total of 110 people. Their study found that free nutritional supplements (such as iron pills and food grains) for pregnant women are not being distributed to all pregnant women. Their availability at anganwadi centers is unreliable due to gaps in funding. Many women had to pay for iron injections which can cost on average, Rs 250 to Rs 300. The protocol for blood transfusions in Assam also discriminates against low-income women, according to the report, as they “cannot always bring someone to provide replacement blood.” These are all government interventions which are supposed to be free of cost, at least in theory. “Several respondents said that hospitals do not give blood to pregnant women without a donor, even in emergency cases,” says the report. One respondent had to pay Rs 1,700 to a paid blood donor to replace blood for her transfusion. Their report also says that there is a poor and inaccurate understanding of anaemia among health workers and government officials, who are supposed to be working on issues related to maternal health. While ASHA workers have a good understanding of anaemia, there are gaps in how they identify and record cases. The lack of access to health is compounded by poor wages which tea plantation worker’s earn and the exploitative conditions of their work – According to the report, plantation workers earn just about Rs 137 per day. They also lack access to basic services of healthcare, housing, nutrition, sanitation and water. Permanent workers on the plantations do get paid during maternity leave but temporary workers do not. Their report examines various government laws and schemes such as the Plantations Labour Act, 1951, Maternity Benefit (Amendment) Act, 2017, Integrated Child Development Services, National Health Mission and its Accredited Social Health Activists, Janani-Shishu Suraksha Karyakram and Mrityunjoy Ambulance Service.